In writing stories, this kind of reasoning isn’t really helpful. That doesn’t mean we can abandon all logic, however. In stories and fiction books, we need a different kind of logic. We need causal logic. At the core of causal logic is causation, meaning that one event flows from (is caused by) another. 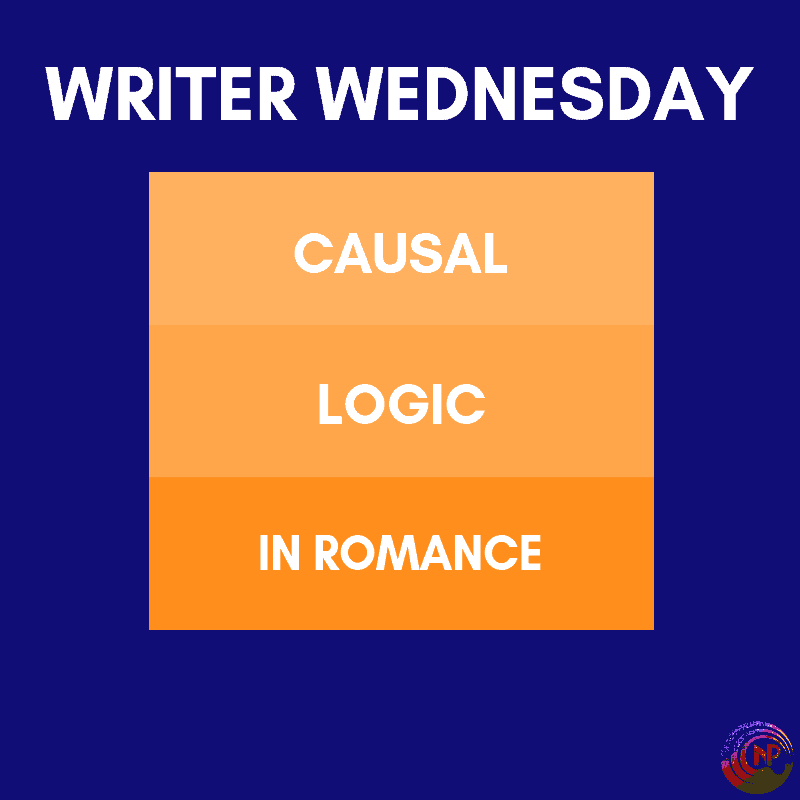 Causal logic is describes as the relationship between a condition or variable and a particular consequence, with one event leading to the other. This, of course, is super formal and abstract, and you may wonder what it has to do with fiction and with MM romance in particular. In short: everything. Everything that happens in your story, in your romance has to be causal. Everything that happens, from the small actions to the big decisions, has to be triggered by something else. Things never happen in a vacuum. In real life, people never make a decision that’s completely separate from everything else and they never do something that’s not caused by something before that. In fiction, they sometimes do, and that’s a bad thing. Let’s start with the bigger picture, the macro level, because this may be easiest to grasp. Let’s take a pivotal moment in many MM romances, the moment one of the characters says “I love you” for the first time. This should happen in a way and at a moment that makes sense to the reader, because it’s been logically leading to that point. Maybe he’s had a few internal thoughts that he likes his partner more and more. maybe he’s recognized the feeling as love to himself but was afraid to say it. Maybe his partner does something that opens his eyes to the truth. Whatever it is, something has to happen before the character can make this declaration. And that something, all of those steps, have to be shown on the page. This may sound super logical, and yet it’s something that authors sometimes fail to put into practice. Whenever a reader goes “Huh?” over a character’s action, that means the author has failed to show the causal logic behind it. And if a reader feels the action doesn’t fit the character, it’s even worse. A rather common issue is when readers don’t “feel” the attraction or connection between the main characters. That can be caused by poor characterization and two-dimensional characters, but it’s possible it’s due to faulty causal logic as well. Readers need to understand and believe that the only outcome of everything that happened before in the story was for these two people to end up together. If there’s any other outcome possible, or if the outcome you chose doesn’t make sense to readers, you’ve failed to show the causal logic in your romance. The key thought here is that you always have to show why your character is doing something, why he is making a certain decision at a certain point. If you don’t provide that explanation, that sequence of cause and effect, of causal logic, your readers will become detached from the characters because they stopped making sense. So, the practical application is that you always need to check if every decision your character makes, every action he does is triggered by a previous event or thought. Is the causal logic complete or are you missing steps? This same cause-and-effect is true on a smaller scale as well. 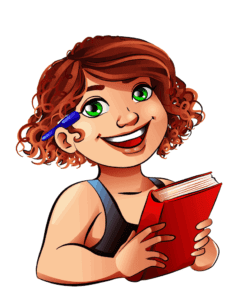 Let’s take your main character’s character traits for example. Now, some of these he may have inherited, but those that stand out, need a cause. Is he super careful? There needs to be a reason for that. Is he distrustful? Figure out why. Is he secretive or the opposite, wearing his heart on his sleeve? You need to know why, and if it matters in any way to the story, you’ll need to show the cause and effect (preferably without doing info-dumps, but that’s a topic for another post). Technically, this cause and effect is in the wrong order, because the door needs to slam first before he can reel back in shock. Will it matter all that much? That’s debatable. Hardliners will have an issue with it, I tend to be milder, but… At the core, the cause-effect principle holds true on the smallest level. Everything that happens in your story, needs to have a cause. Aside from making sure the cause-and-effect chain is always present and complete in your books, you also need to make sure it’s consistent. If a character always responds a certain way to a trigger, you can’t have him react differently without explaining that. For example, is a character has shown to be consistently change-resistant and his lover asks him to move across the country, he can’t say yes on a whim. That would be inconsistent with his previous reactions. If you want him to say yes, you need to make his internal change clear that leads to him having a different reaction. When you fall short there, your readers will mention things like “That didn’t make sense to me” or “That felt out of character to me”. Hope this was helpful, please let me know in the comments!